Crazy Creek Vineyard is located in Alexander Valley, a region renowned for growing some of the best Cabernet Sauvignon in Northern California. 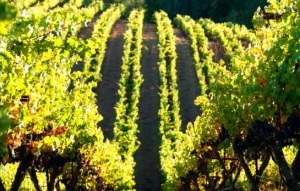 This vineyard lies east of the town of Geyserville on a knoll just above the valley floor, and is comprised of gravely loam soil. The low vigor Cabernet Sauvignon vines consistently produce fruit with rich flavors and depth of character that create the characteristic red wine this region is known for. When Al deLorimier founded deLorimier Winery in the 80’s it was this property that brought him to the valley. And to this date Crazy Creek is always an award winning wine from the lineup.